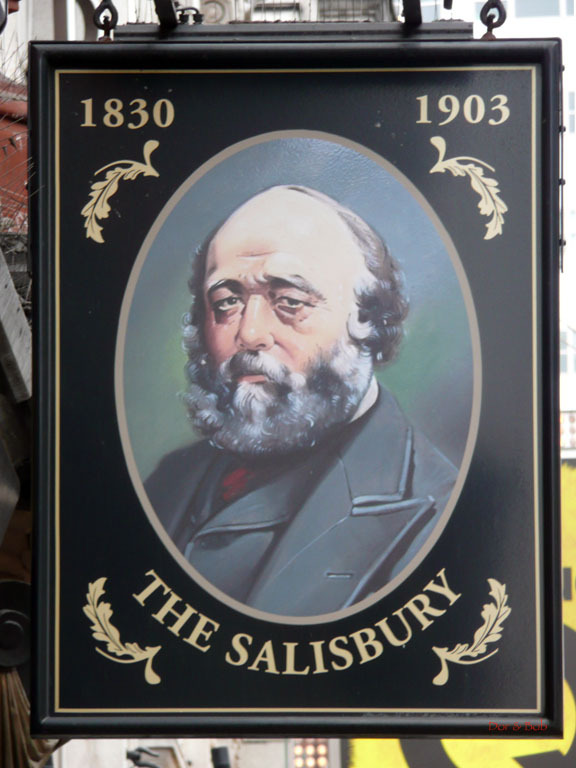 The Salisbury has a very good selection of real ales. 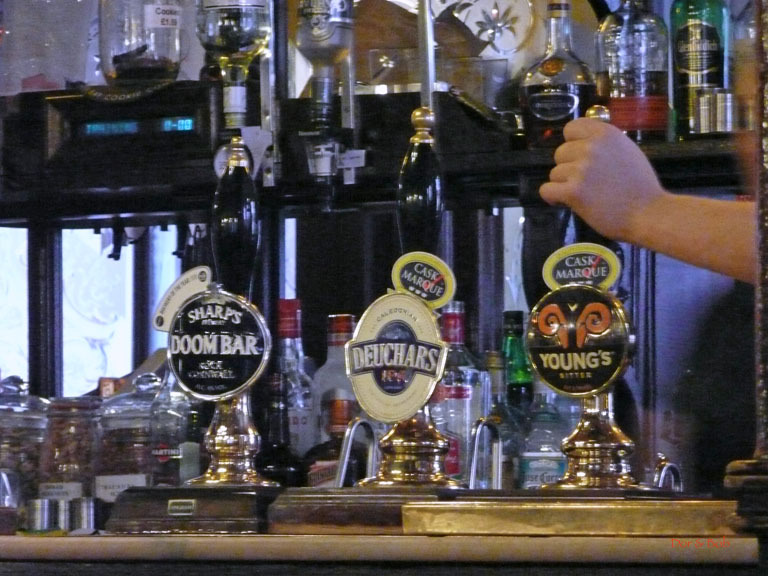 On tap on our visit: Sharpâ€™s Doom Bar, Youngâ€™s Bitter, Timothy Taylor Landlord, Deuchars IPA, Wells Bombardier, and Morrissey Fox Blonde Ale. 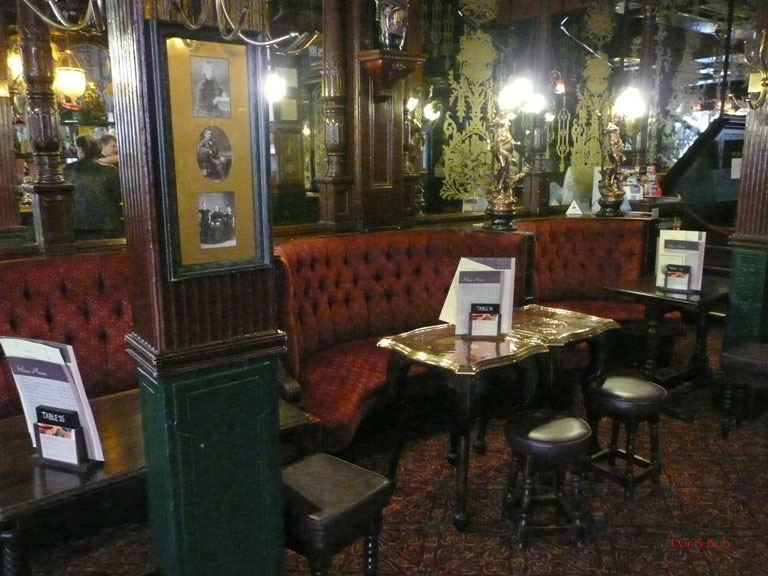 The pub itself is a very classy-looking place with beautiful etched glass windows and an elaborate bar back with etched mirrors and hanging lamps also made of etched glass. The ceilings are tall and dark red with a Victorian embossed design and dark wooden beams run across it. 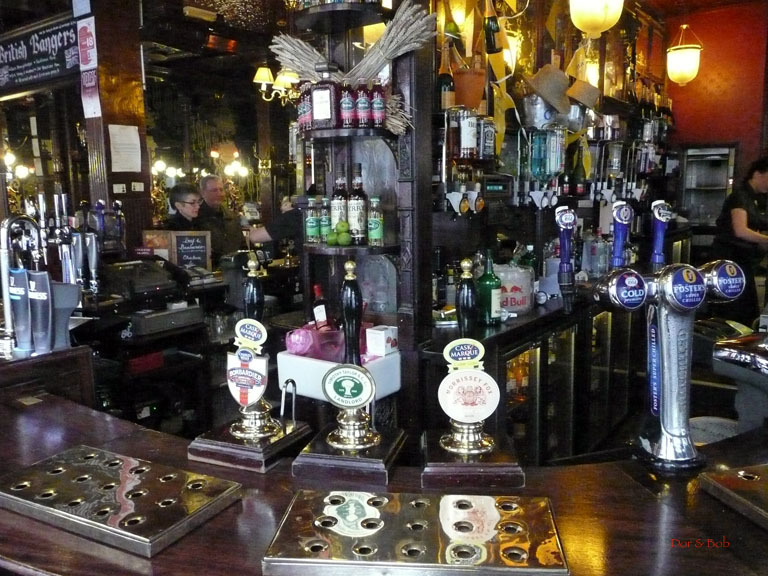 A wooden bar curves through the middle of the pub dividing the smaller right side from the left. The only seating at the bar is on the smaller right side. Otherwise plush dark red velvet curved bench seats line one wall along with tables and stools. Distributed along the backs of the benches are four metal (brass?) nymphs, each with a dog and several elaborate glass lamp shades. 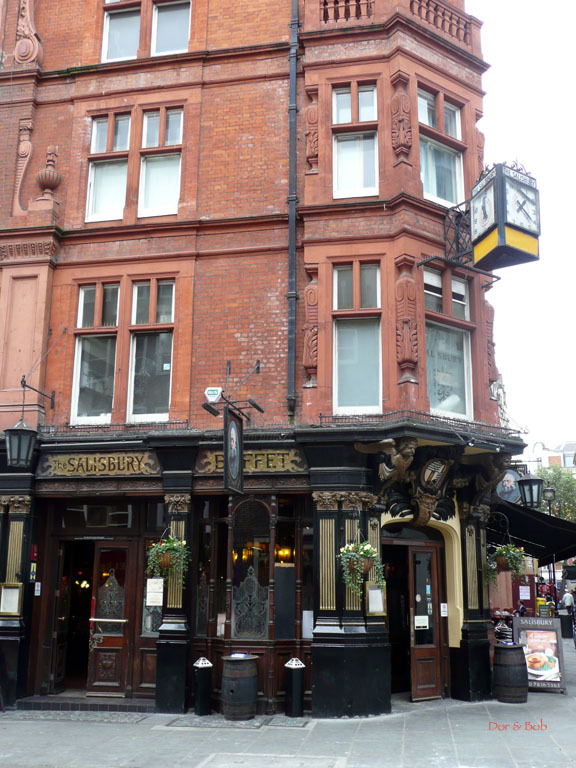 The pub has two doors, so it presumably there were multiple rooms at some point in the past. The menu showed various up-market pub choices. Our roast beef sandwich and cheese plate were both quite good.